First of all I outline some of the principles. I explain that I will talk a lot about the Court when talking about money. That is not because the couple need to go to Court to sort out their finances, but because the best a divorce lawyer can do is to try to second guess what a Court might do in the circumstances. This is because the agreement reached should be in the range of possible answers the Court might impose on the couple at the Final Hearing (see below). 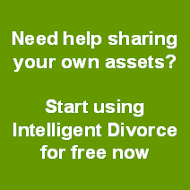 How can Intelligent Divorce help? We will provide you with an opinion from an experienced, specialist family barrister, who will know what the Court is likely to conclude given your circumstances, without the costs of employing a solicitor. This level of legal opinion and experienced know-how sets us apart from other online divorce services. You can then use this opinion to help you resolve your finances. I explain that there is a discretionary system in this country. This means that Judges have a great deal of flexibility in deciding the outcome, which will depend on the circumstances. There is no single right answer but a range of possible outcomes, with numerous factors taken into account and which may carry different weight. the range entirely. Only experience can tell where the range lies. I then explain that the Court looks at all the circumstances. However not all the factors set out in Section 25 are equally important or as a judge would say, “carry equal weight”. The first consideration is the needs of any children of the family who are minors. The children's needs could include, among other things, somewhere to live, access to settled suitable schooling and income to feed and clothe them. The Court then looks at the needs of the parties. Most cases do not get beyond this stage as there will not be enough money to justify thinking about any other considerations. However I then explain that if there is something left after needs have been satisfied, the Court will look at all the other factors. I explain that before any negotiation or properly considered advice about finances can be given, both parties must provide “full and frank financial disclosure”: that is that each party must let the other party know about all their assets and income. This is usually done by completing and exchanging a long form known as Form E.
solicitors for disclosure on a voluntary basis (ie even if the Court won’t be involved). I show them the form (you can have look yourself by downloading the Form from the Court Service website). It is a detailed document almost 30 A4 pages long which aims to provide, if completed correctly and with all the necessary attached documents, a snap shot of the financial position at a particular point in time. I go through the form and the accompanying documents needed with the client. I repeatedly emphasise that disclosure is so fundamental to the process that if they do not fully disclose their assets, they can be penalised in costs and in the award made. I then explain that the vast majority of finance cases settle by agreement and that should be the aim of the client. It is in the process of providing disclosure and reaching agreement that solicitors make their money from divorcing couples. Intelligent Divorce allows you to complete the disclosure exercise yourself, and then provides an expert’s opinion to guide you as you negotiate a settlement yourselves. Talk to each other: This is by far the cheapest and often best way. The problem is that it is not always possible and where it is, the solution is not always clear. people who are prepared to give it a try. would have achieved in court. Use solicitor-led negotiation: This is the most widely used method. Solicitors will assist with disclosure and negotiate on a client’s behalf. relationship with their ex partner. called a First Directions Appointment at which the Judge will give instructions (known as “directions”) about any additional questions needed to establish the financial position of the parties, and about arrangements for getting any valuations and other reports. We can help you satisfy yourself that you know the detail of your family’s finances without using a Form E and without the need to use a solicitor. We have removed the confusing legal language and made it as easy as possible to list clearly all your assets and income so you know what you have jointly and in your sole names. By using Intelligent Divorce, it will be easier to gather this financial information than if you were simply given a Form E by your solicitor to complete by hand. 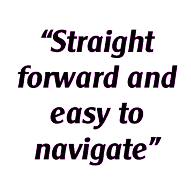 Our process is not only more cost-effective than the traditional routes but also less frustrating. the parties agree a settlement. The vast majority of cases do settle at this point. If an agreement is not reached outside of the Court process, or at the initial stages of the Court process, then the latter parts of the Court process come into play. If the parties do not settle at the FDR, (and as I’ve said above the vast majority of cases do), then the Court will list a Final Hearing (normally in 4-12 months time), after which the Judge hearing the trial will impose an outcome on the parties. Again I stress that if the parties are unable to agree, then ultimately it is the Court that will decide. After this run through of the process and the options available, I will then ask my client to give me a summary of their current financial position, so I can advise them. I will always try to give the client an idea of likely outcome based on the information they have provided to me. My advice will only ever be as good as the information they provide. Not all solicitors will advise at the first meeting, preferring to wait until the information is in to give their views. I personally don’t think that is the right approach as clients need an idea of the likely outcome as early as possible. The last thing I talk about at this initial meeting is the likely cost. You will recall this was also the first thing mentioned in the meeting (see my earlier post). Divorce: The costs for handling the divorce itself are relatively predictable. If it is undefended, the cost of acting for the Applicant will be roughly £750 plus VAT and Court fees of £385. The costs will be less if I am acting for the Respondent, around £200 plus VAT. Finances: I always tell my clients that it is the cost of settling the finances that will really hurt them. These will vary according to the assets involved. I will often allocate the work to a member of my team with a cheaper charge out rate than me. The cheapest solicitor-led negotiation, including full disclosure, is likely to cost £2,000 to £2,500 plus VAT (plus the cost of the divorce set out above). More usually the cost will be between £5,000 and £10,000 but can be more if the case becomes more complex. Note these costs are for one half of the couple only – the other person will have similar costs to pay. If negotiations fail and Court proceedings are necessary, I usually estimate a further £5,000 to £10,000 to the First Directions Appointment, a further £5,000 to £10,000 to the Financial Dispute Resolution and a further £10,000 to £20,000 to the final hearing. That’s £20,000 to £40,000, and again for just one half of the couple. The other will have fees of a similar level. All of these fees are plus VAT. There will also be disbursements which include Court fees and, more particularly, the cost of a barrister, who would present the case in Court. These costs can be significant. They will depend upon the barrister’s seniority, but range from £500 to £2,000 for a preliminary meeting and from £500 to £4,000 for a day’s hearing at Court. If one of the couple has a barrister it is likely the other person will do, so these costs will be doubled. These are the costs for an average case. The more assets there are, or the more contentious the case, the higher the costs will be. Alternatively use our solo service to list the assets and liabilities involved in your case and thenrecieve receive an opinion from a specialist family law barrister, which you can use to help you negotiate with your ex-partner, or a starting point for mediation. This extract has been taken from The Divorce Process & Meeting a solicitor section of our guide Divorce, Courts & Costs (& How We Can Help). Read the full version here.